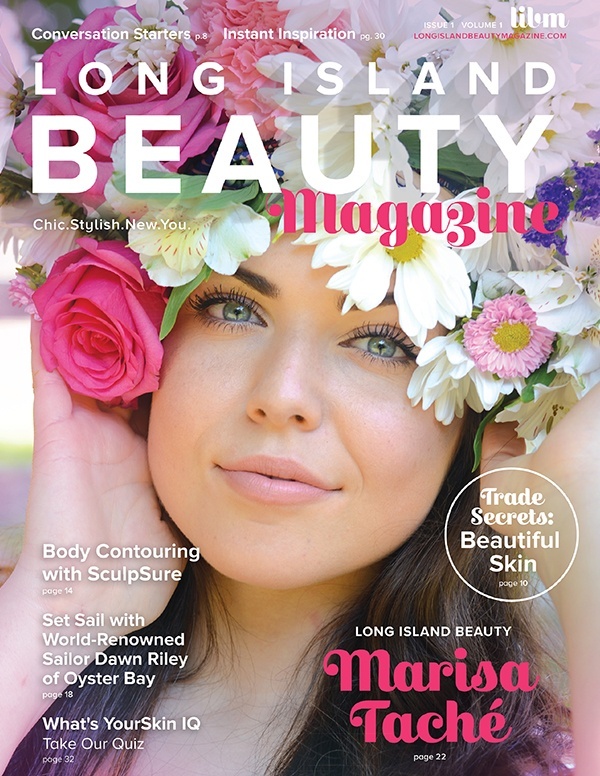 As the principals and publishers from Cosmetic Surgery of New York, we hope you enjoy reading Long Island Beauty Magazine. We live and work on Long Island and wanted to create a lifestyle publication filled with stories to connect you to the community. Each issue was written with you in mind and features fresh, relevant stories that speak to Long Island women. There is always something new and exciting being introduced in the beauty industry, and we will bring you news about the most advanced technology and anti-aging treatments available today. We'd love to know more about what interests you and welcome your feedback. 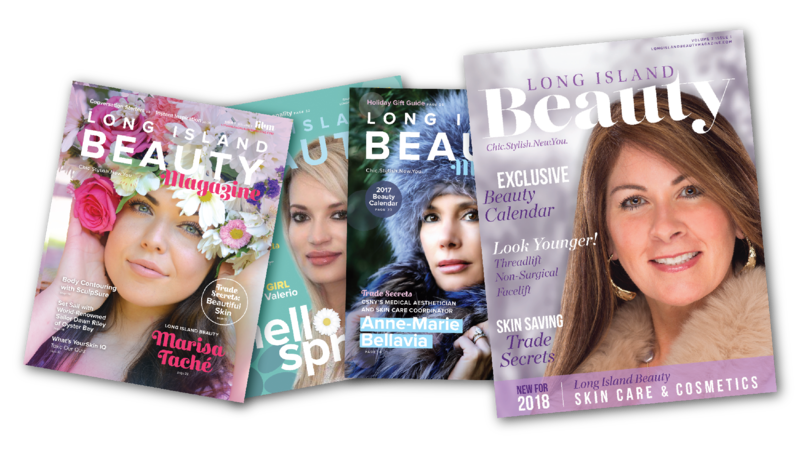 Our latest issue features our aesthetician, Danielle Boyd, on the cover and celebrates the launch of our new medical grade skin care and cosmetic line, Long Island Beauty. If you're interested in learning more about the latest techniques and procedures to keep you looking your best, be sure to read about our new non-surgical facelift (Threadlift) and our exclusive Trade Secrets for younger looking skin! Our spring issue features Julissa Valerio on the cover, a medical assistant at Cosmetic Surgery of New York and an aspiring physician’s assistant. Filled with ideas, products and procedures to revitalize yourself for the summer months, this edition also features an exclusive interview with Long Island’s own Clinton Kelly, television and fashion superstar! 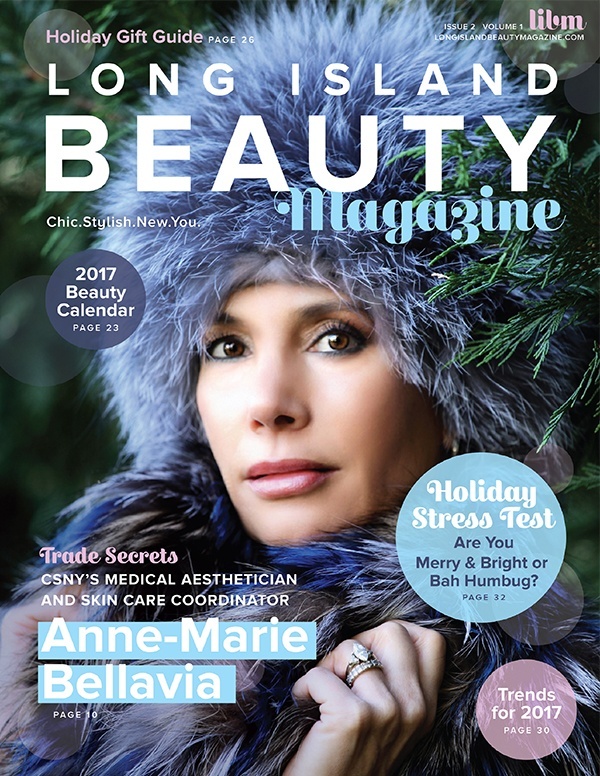 The stunning Anne-Marie Bellavia, Cosmetic Surgery of New York’s medical aesthetician and skin care coordinator, graces the cover of our holiday issue. Ann-Marie shares some of her skin care secrets, and our new Glam-Ma Makeover is revealed! Hot or Not Trends, gift ideas and a Holiday Stress Test are all part of the holiday fun! Our inaugural issue features Long Island Beauty Marisa Tache, who shares her journey from singer to superstar as a contestant on American Idol. Our feature, Setting Sail, tells the story of world-famous sailor Dawn Riley of Oyster Bay, the executive director of the Oakcliff Sailing Center. 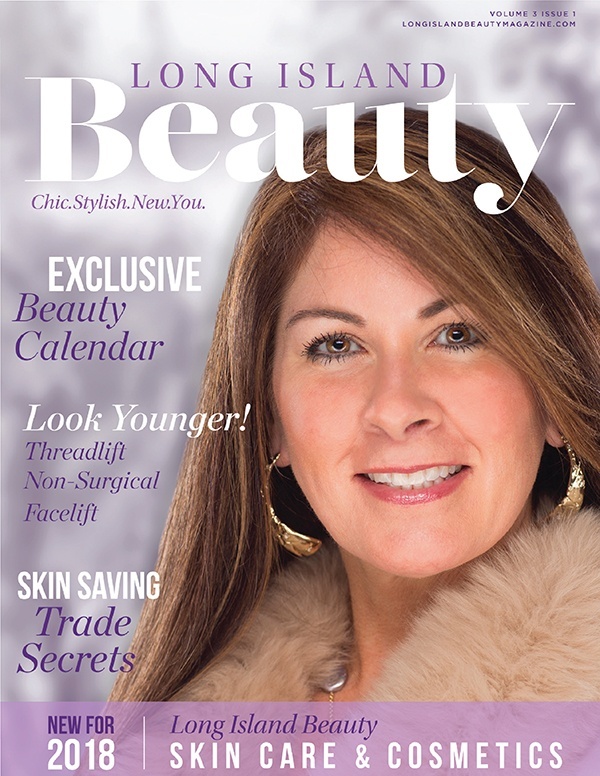 This issue also includes a unique Decades of Beauty guide that shows you how to preserve, protect, brighten, tighten and boost your skin from ages 20 through 50+. Don’t miss it!